Let Transgender Athletes Compete! Oppose SB 2095! All young people should have the opportunity to play interscholastic sports and have their personal dignity respected. Transgender young people are no different. SB 2095 by Sen. Bob Hall is currently on the Senate Intent Calendar. The proposed bill would allow Texas’ University Interscholastic League (UIL) to disqualify a student taking hormones from competing in student athletics– even if that student is only taking them because they are transgender. Texas’ University Interscholastic League (UIL) policy currently requires student athletes to compete as the gender listed on their birth certificate. There are only 6 other states in the United States that have similar policies. The UIL policy is discriminatory toward transgender athletes. The rule forces transgender athletes to compete against students that do not match their gender identity. 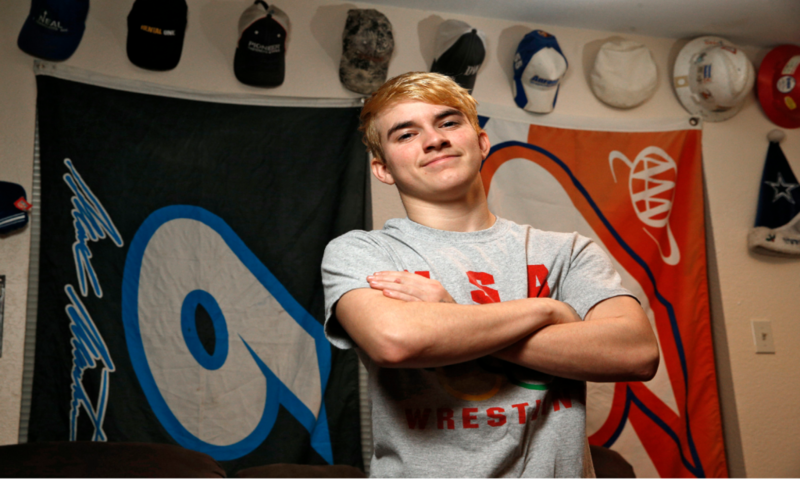 Such is the case of transgender male wrestler, Mack Beggs who is forced to compete against female athletes, even though he has stated repeatedly that he wants to compete in the boys division. By overzealously and erroneously attempting to ban transgender girls from participating in girls sports, Texas officials have managed to create a situation where a transgender boy has been forced to compete in the girls division. If the intent of SB 2095 is to correct for the UIL’s current misguided birth certificate policy, it fails to do so. SB 2095 does not eliminate the birth certificate problem, and creates the potential for student athletes like Mack Beggs to be prohibited from competing in sports altogether. Instead, Texas should look to other states like Utah, Florida, and Colorado, and the many sport governing bodies that make accommodations for transgender teens going through medical transition to bring its policy into alignment with science. Rush a message to your State Senator urging them to oppose SB 2095!